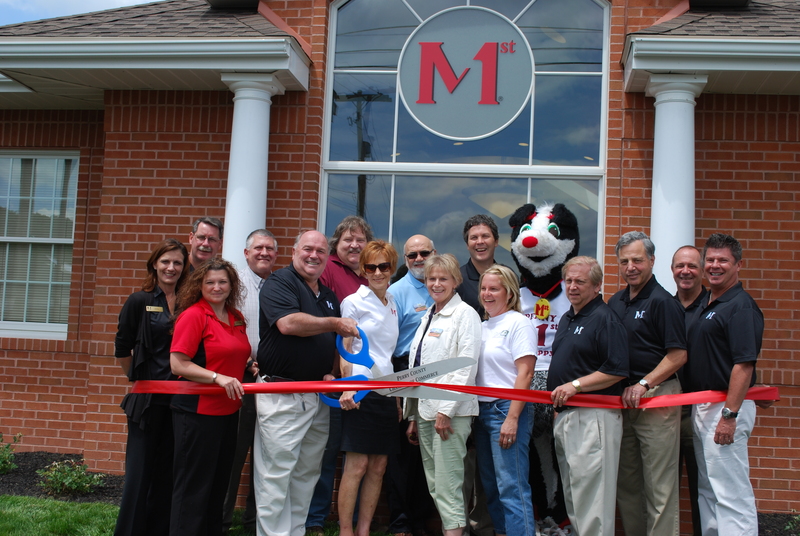 In case you missed it, we celebrated our grand opening of our new Duncannon branch on Saturday, June 2. Here we are cutting the ribbon and making it all official. Bob Marquette, our President & CEO, is the guy holding the scissors getting ready to make the cut. He had some help from Jackie Eakin, Chairman of our Board of Directors, who is standing to his right. Thanks to everyone who participated in the ribbon cutting! If you haven’t visited yet, stop by at 48 Business Campus Way, Duncannon (near Mutzabaugh’s Market) and meet Gage, our branch manager (back row, first person on left) and Chris Dudley, our assistant branch manager (lady in front row wearing red). We’d love to meet you and help you open your new account.